What have been the major trends in knowledge management over the past three decades ? Has it fulfilled its promise, and where is it heading? What have we learned about knowledge in organisations? 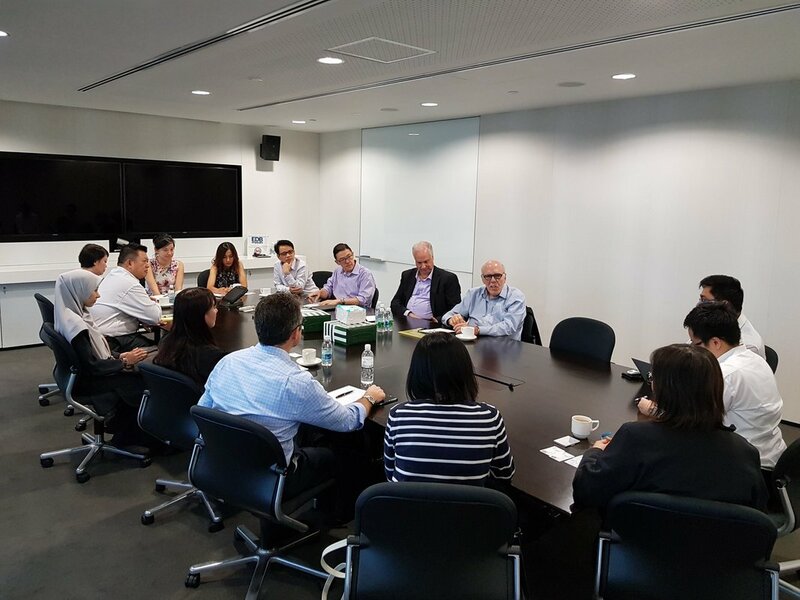 Hear from two major figures in the field of knowledge management, Larry Prusak and Ed Hoffman in an informal presentation and discussion session with ISKO Singapore. Larry Prusak is a researcher and consultant and was the founder and Executive Director of the Institute for Knowledge Management (IKM). This was a global consortium of member organizations engaged in advancing the practice of knowledge management through action research. Larry has had extensive experience, within the U.S. and internationally, in helping organizations work with their information and knowledge resources. 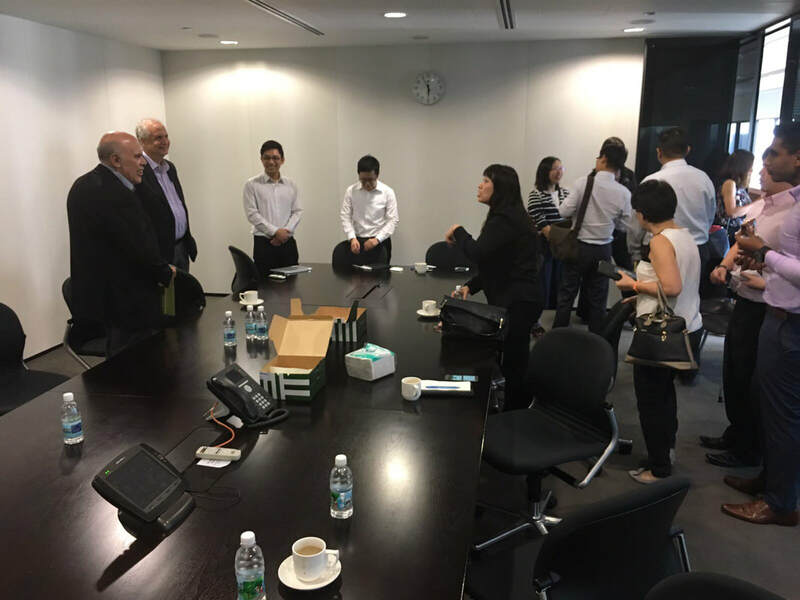 He has also consulted with many U.S. and overseas government agencies and international organizations (NGO's). Both a pioneer and a noted authority in knowledge management, Larry has lectured and been published widely. His most recent book publications include co-editing Knowledge Management and Organizational Learning (Oxford University Press, 2005), and co-authoring Storytelling in Organizations (Elsevier, 2004). His publications also include: What's the Big Idea (Harvard Business School Press, 2003), co-authored with Tom Davenport, Creating Value with Knowledge (Oxford University Press, 2003), co-edited with Eric Lesser, and In Good Company: How Social Capital Makes Organizations Work (Harvard Business School Press, 2001), co-authored with Don Cohen, which was listed as one of 2001 Best Business Books awarded by Harvard Business School Review. He has also co-authored two other books with Tom Davenport: Working Knowledge (Harvard Business School Press, 1998) one of the pioneering classics in knowledge management, and Information Ecology (Oxford University Press, 1997). Working Knowledge has sold over 100,000 copies and has been translated into 12 languages; the paperback edition with a new Preface was published in 2000. Dr. Ed Hoffman is Founder and CEO of Knowledge Engagement LLC, which works with organizations to empower projects that matter through knowledge, talent development, leadership and accelerated learning. He provides consulting services, training, and supports career development activities across industries, disciplines, and business sectors. He is also a strategic advisor to the Project Management Institute. Dr Hoffman was formerly NASA's Chief Knowledge Officer, working within NASA as well as with leaders of industry, academia, professional associations, and other government agencies to develop the agency's capabilities in program and project management. Dr. Hoffman has written numerous journal articles, co-authored Shared Voyage: Learning and Unlearning from Remarkable Projects (NASA, 2005) and Project Management Success Stories: Lessons of Project Leaders (Wiley, 2000), and speaks frequently at conferences and associations. He serves as Executive in Residence and Adjunct Professor at Columbia University. Dr Hoffman holds a Doctorate, as well as Master of Arts and Master of Science degrees from Columbia University in the area of social and organizational psychology. He received a Bachelor of Science in Psychology from Brooklyn College in 1981. Thursday 21 September 2017, 4pm-5.30pm. Knowledge and information managers, senior managers overseeing knowledge management, innovation, organisation development, and programmes and projects. There are no slides as this session was run as an interactive dialogue between Larry, Ed and the members.